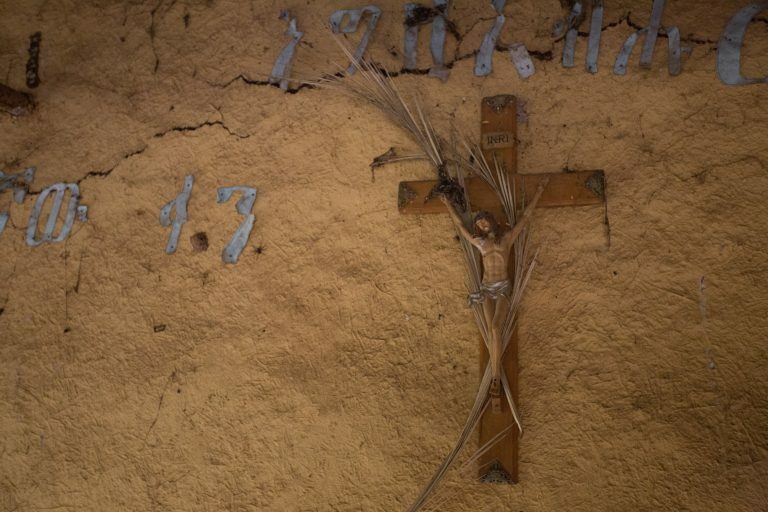 A cross in a poor rural church, Ethiopia. Young Christians in Ethiopia are being lured to convert to Islam by promises of jobs, education, help to buy houses and other aid, according to a Christian leader. Christians, desperate to escape poverty, are being bribed to join the Muslim religion, Catholic charity Aid to the Church in Need was told by a religious leader who asked to remain anonymous to protect his safety. He said: “The [Muslim employers] are getting the younger ones – with scholarships, promises for jobs, and so on. “Unemployment is at a very high rate in Ethiopia, so this is very attractive to the young people. “They are told if you want a job you must live like this – the young people are targeted. He added said that some mines only employ Muslims and are luring young Christians away from their faith with promises of permanent employment. He said: “There are some rich Muslims who have taken control of major investments – in one diocese the marble mine and the gold mine – all these are owned by them and people are only given employment if they are Muslim. He added that converts to Islam are also given help to buy houses. The religious leader also said that the number of mosques being built has increased: “If there are 10 Muslim families they will build a mosque for them – even where there are problems getting new churches built. He also described how Muslims are using bribery to attract members of animist groups in his diocese. The Christian leader expressed suspicions that the money used to attract the animists was also coming from outside the country. He stressed that Ethiopia has traditionally had a history of Christians and Muslims living in harmony, but spoke of his fears that the country’s Islamic community was increasingly becoming influenced by foreign hard-liners.